There are plenty of reasons to be wary of at-home DNA testing, particularly if you’re concerned about genetic privacy. That’s especially true now that it’s come to light that FamilyTreeDNA, one of the largest private genetic testing companies, is cooperating with the FBI to give its agents access to its genealogy database. The partnership, first reported by BuzzFeed News, marks the first known time a consumer DNA kit company has voluntarily given law enforcement access to a private database. Detectives have increasingly turned to DNA databases as a way to jumpstart cold cases, but previously kept searches limited to public and free databases, such as in the recent Golden State Killer case. While in that particular case law enforcement relied most heavily on GEDmatch, an open-source database, FamilyTreeDNA was also subpoenaed to provide the identity of a single user who was a genetic match to the killer. That relationship has since “morphed,” a FamilyTreeDNA spokesperson told BuzzFeed. FamilyTreeDNA’s fresh agreement with the FBI gives the agency the ability to search more than a million genetic profiles—the majority of which were given by consumers without knowledge of the company’s relationship with the FBI. 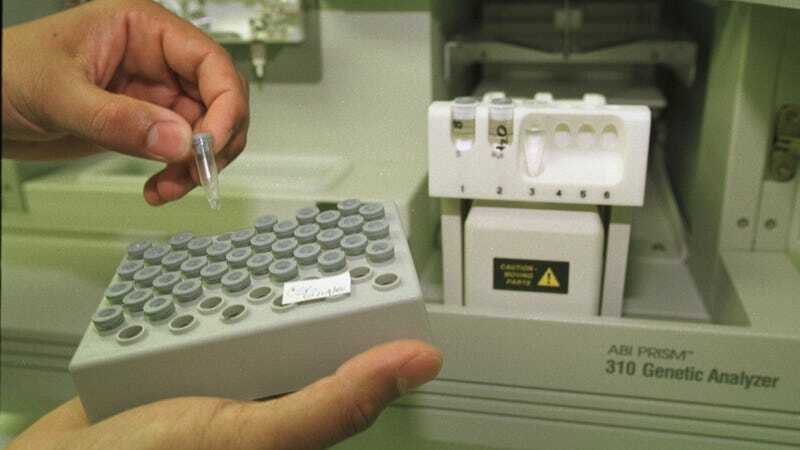 As part of the agreement, the company has also agreed to test DNA evidence and identify remains of deceased individuals in violent crimes for the FBI in its own laboratory. In a statement, FamilyTreeDNA said that customers have the ability to opt out of matching features in their account settings. Doing so would prevent law enforcement from accessing their genetic information, but it also means a user would be unable to find potential family members through the service. Bennett Greenspan, president and founder of FamilyTreeDNA, characterized the company’s FBI partnership as nothing more than giving law enforcement the same access to the DNA database as any FamilyTreeDNA user would have. The statement goes on to emphasize that without a court order, law enforcement will only be able to view the same information that is already available to regular FamilyTreeDNA users. The fact that direct-to-consumer DNA kits might be subpoenaed by law enforcement isn’t a secret. In fact, it’s right there in the disclosures on the websites of FamilyTreeDNA, AncestryDNA, and 23andMe. But while it can admittedly be a helpful tool to apprehend criminals that pose a threat to public safety, you should be aware that these ancestry sites could expose not only your identity but anyone related to you. Whether or not FamilyTreeDNA’s decision will influence other consumer DNA kit companies to follow suit is unclear. But at least one competitor isn’t keen. None of this will probably stop that one nosey aunt of yours from gifting you an at-home DNA kit. (If that happens, here’s why you shouldn’t send off your spit-soaked Q-Tips.) But privacy concerns aside, these kits can be imprecise (and sometimes can be fooled by dog DNA), and sometimes offer bunk diagnoses about your health concerns like diet.